You might’ve heard the Chick-fil-A Grilled Nuggets are a tasty option whether you’re counting calories or carbs and want to stay on track. But there’s more to the story behind these bite-sized morsels. We got the inside scoop – or shall we say, dip? – from a few Atlanta-area restaurant team members who cut, cook and serve them every day. The Grilled Nuggets are the product of seven years’ worth of testing and more than $50 million to reinvent the grilled chicken recipe. Much of that hefty sum went toward creating a new grill designed by Chick-fil-A scientists. It sears chicken on cast-iron grates just like it was cooked on a backyard grill, only quicker. 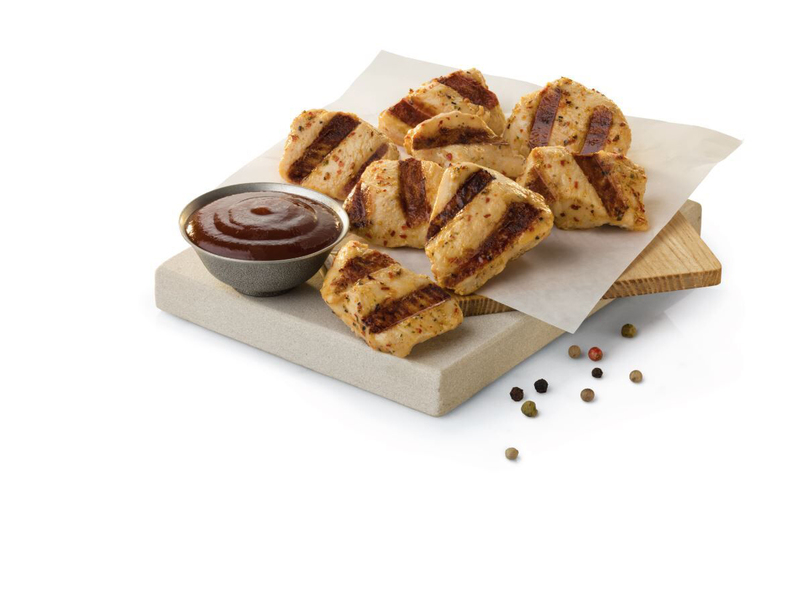 The Grilled Nuggets were first introduced in 2012 as a Kid’s Meal entrée, making Chick-fil-A the first in the industry to offer kids a grilled entrée. But parents loved them, too, and grilled nuggets were soon added to the regular menu. The Grilled Nuggets’ surprisingly simple marinade of sea salt, lemon, garlic and herbs gives them an added kick and is the perfect complement to Chick-fil-A’s plethora of dipping sauces. The grilled nuggets are made of real, fresh chicken breast, like you’d buy in the grocery store. Chick-fil-A team members prepare the bite-sized chicken in the restaurant kitchens every day. 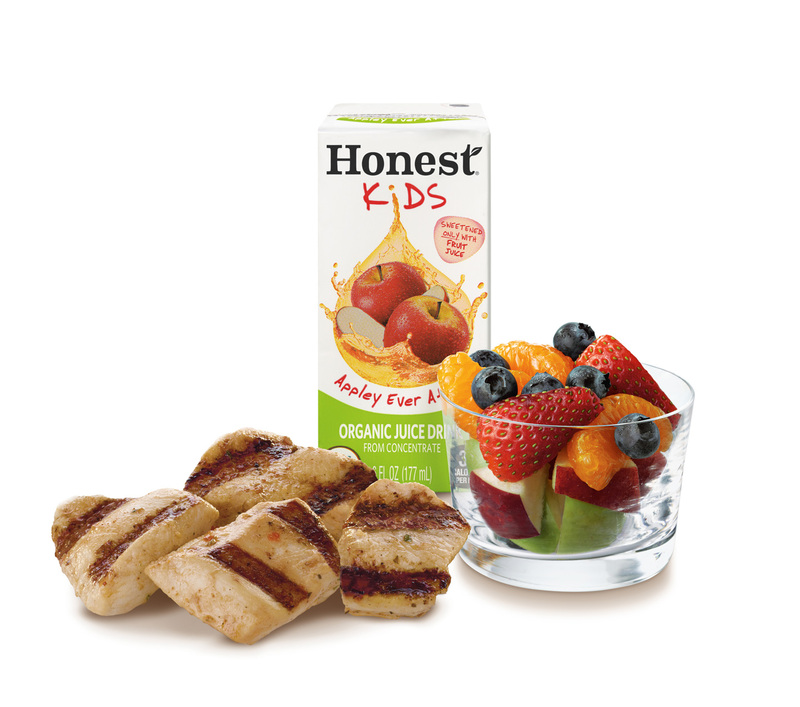 With 25 grams of protein and just 140 calories for the 8-count entrée, the Grilled Nuggets are the perfect guilt-free option for those craving a tasty meal or snack. These boneless chicken bites also have less than one-third the daily cholesterol recommendation and are free of trans fat. Sauce pairings in the bowl (which sauces do you dip together)? No grilled nugget would be complete without dipping sauce. 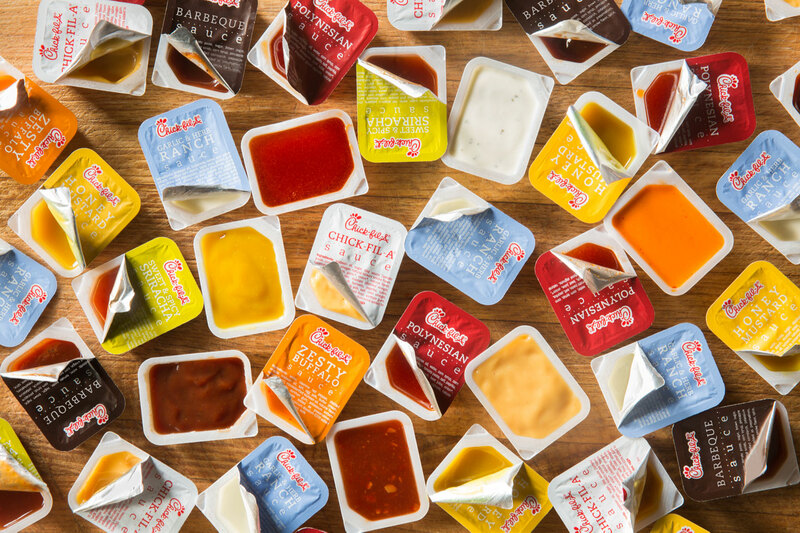 We asked Atlanta-area team members their favorite sauce pairing for the grilled nuggets, and Polynesian ranked at the top, followed by Honey Roasted BBQ and then Siracha. Some were more daring and mixed their sauces for an added flavor boost. 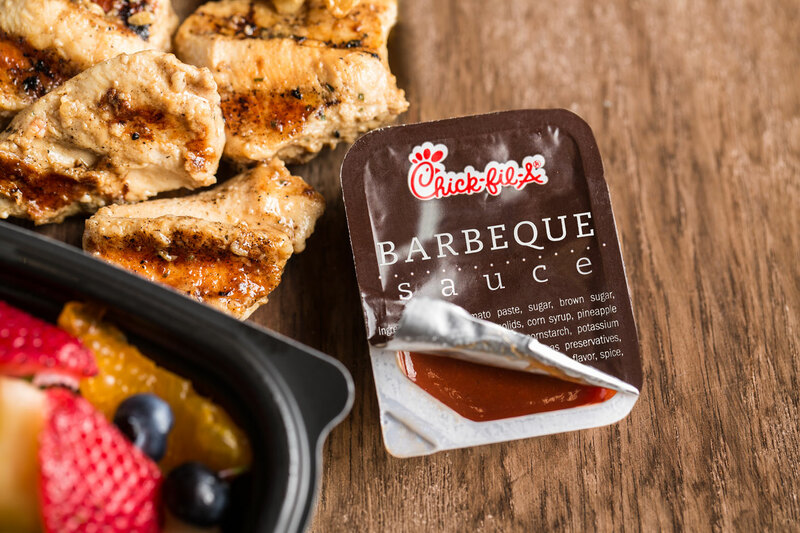 Jerrol Deaver, who’s worked at Chick-fil-A for one year said he mixes Honey Roasted BBQ with Honey Mustard, while others recommended mixing the Garlic & Herb Ranch and Zesty Buffalo Sauce.